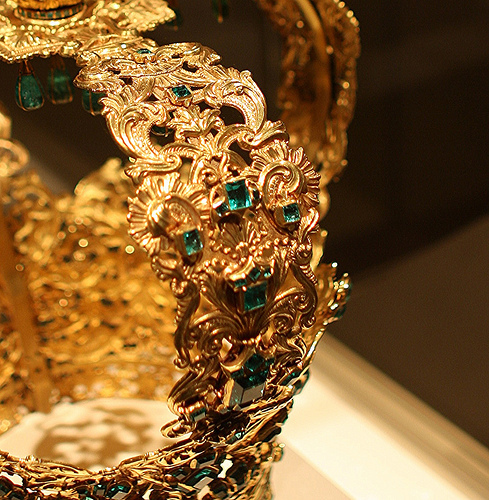 Crown of the Andes is often viewed as the largest collection of emeralds in the world, originally made for the life-size statue of the Virgin in Colombia. It was made back in 1660s when diadem was manufactured and later modified when arches were added around 1770s. It includes emeralds taken from the Inca Emperor Atahualpa and is made from 18-22 carat gold. There are overall 450 emeralds on it. The largest of which is the “Atahualpa Emerald” that has impressive measurements of 15.8 by 16.15 millimetres. The crown was believed to be actively used in the Holy Week celebrations and religious worship by Popayans for a significant period of time until early 20th century when an American businessman Warren J. Piper bought it. Initially, he aimed to break it up and sell it in small pieces, however this plan was not executed. In fact, instead of this plan, the crown was actively displayed in a number of events such as unveiling of Chevrolet range in 1937, New York World’s Fair of 1939 and Royal Ontario Museum in 1959. 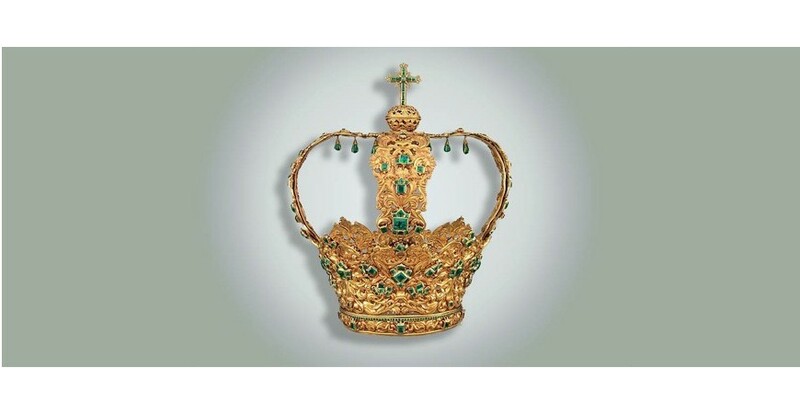 Despite active talks about the need to return the crown to the region where it came from, at the moment crown belongs to the Metropolitan Museum of Art in New York and is often called as the oldest and largest collection of emeralds. Why youngsters are saying no to diamonds. How to Choose an Emerald? Burmese Ruby is best. Is it true?